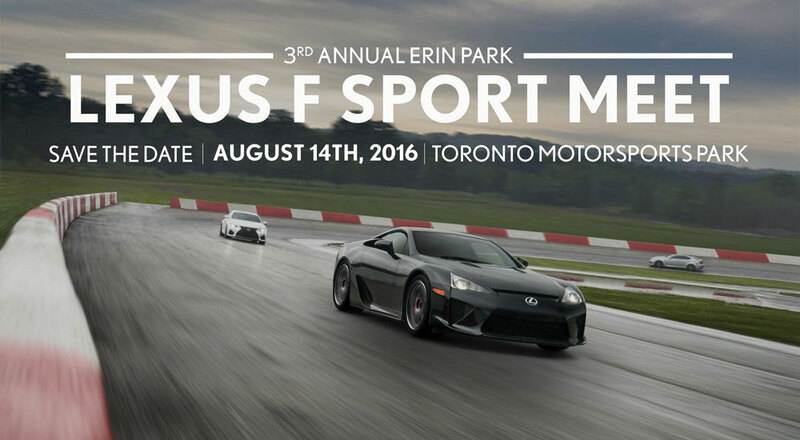 Lexus Enthusiast will be attending a very special event this Sunday — the third annual F SPORT Meet at Toronto Motorsports Park. The 2016 edition is sure to be the biggest Canadian Lexus meet this year, and I’ll be there with site sponsor LexusSalesPro — if you are in Toronto or the surrounding area, you have to attend! Be sure to sign up to reserve your spot and join the 2015 Lexus F SPORT Meet Facebook page for all updates.